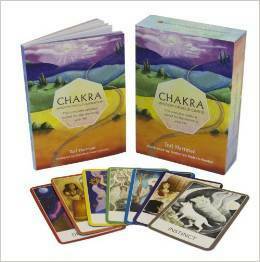 CHAKRA WISDOM ORACLE CARDS: Are life’s answers in the deck? Can a deck of cards really give you valuable insight on your life? 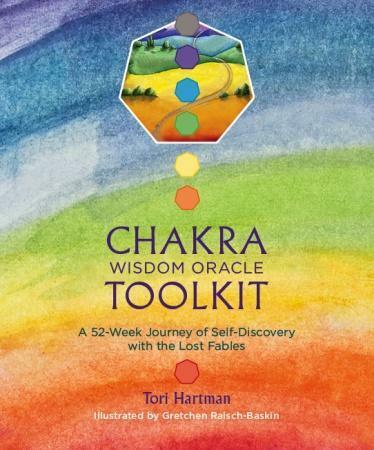 That’s what I set out to discover when I opened my set of Chakra Wisdom Oracle Cards, created by psychic and spiritual teacher Tori Hartman. Prior to this, I hadn’t had much experience with cards of this nature. I’d used tarot cards a couple of times in the past, but I couldn’t recall if they’d given me any valuable information or predicted anything that actually ended up happening. I decided to first use the cards to find out more about my intention of moving on from the pain that a particular relationship has caused me over the years. 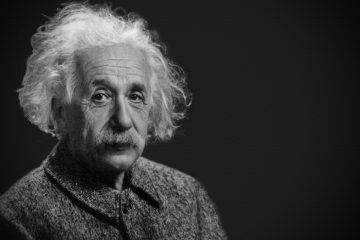 I found that the answers they gave me made sense, but they were vague. It was hard to tell if they were actually offering up profound insights, or if I just believed that they were due to my enthusiasm. Since any card (such as Grief, Acceptance, or Renewal—each is labelled with a particular feeling) can refer to the concept illustrated on it or its opposite, there’s also the worry that it could be interpreted so widely, we could use it to see only what we want to see. Putting aside my concerns that I may have been deluding myself, one thing that I found significant about these cards is that, as is reflected in their name, they’re associated with the seven chakras. The majority of the cards I drew were either red (corresponding to the earth/root chakra, located in the lower body, near the pelvis), purple (corresponding to the brow chakra, located near the brow) or neutral (corresponding to the crown chakra, located at the top of the head, and sometimes represented by violet). The red chakra represents a person’s energy source and their life’s foundation, the purple chakra their sixth sense and the neutral one their universal consciousness. 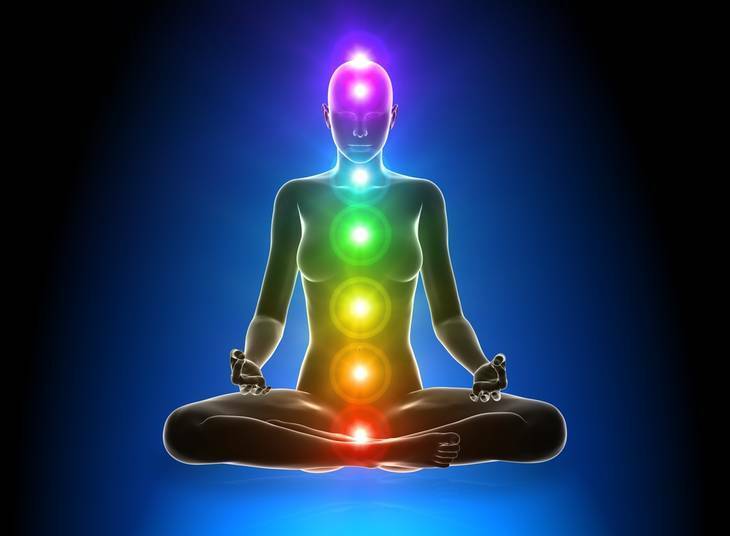 The fact that I drew so many cards related to these three chakras suggests that big events in my life related to these three aspects of myself may be just around the corner. Throughout my time using the cards, I tried two meditations with them. First, I meditated on the Enlightenment card, since it was one of the ones I drew in relation to a particular question. I was directed to list three fears and then walk through the Garden of Fear with them, leaving them behind. Following that, I was to determine whether keeping my fears or releasing them was more painful. 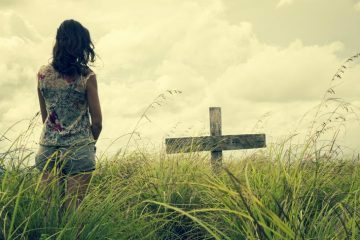 While this was a successful meditation, as I felt like I was really within the Garden of Fear, feeling each step I was taking as I walked, my next meditation wasn’t so successful. This one was part of the 52-week journey of self-discovery presented in the Chakra Wisdom Oracle Toolkit that was included with the cards. During my second week of this program, I read the fable related to the Renewal card, in which a geranium finds a new home to flourish in, and meditated on a possible similar place for myself. Unfortunately, this time I couldn’t completely relax my mind and kept thinking about practical concerns, such as where I would buy food and how much it would cost to rent an apartment in certain locations. Reading the fables may enhance your use of the cards because, according to Hartman, each was delivered to her by a different angel, bathed in one of the seven colours that represent the chakras, and they served as the inspiration for and the source of what’s provided on the cards. I believe in this explanation, and therefore give credence to the idea that the cards are capable of connecting to a spiritual source. However, I’m unsure as to whether everyone can access this source at any time, or if this depends on the frame of mind a person is in when they begin using their cards. Some people may just be saying, “Yes, this applies to me!” in regards to each one that is drawn and then thinking of justifications. Likewise, minus the time I spent engaged in my first meditation, I felt like I was just logically analyzing the cards I drew without experiencing any special feeling of being connected with the source. This may not be a terrible thing, though. Even if we don’t feel a mystical connection while we use the cards, or don’t feel one all the time, using them will still get us thinking about our existence, including where we’ve come from and where we’re going in life. They will also continually encourage us to meditate, even if we end up struggling with some of our meditations. Perhaps with the assistance of professionals like Hartman, a stronger connection with the realm of spirit could be achieved more easily, although ultimately, this seems like a connection that each person must make on their own when they’re ready.